Among the important landmarks in the Ore Mountains, the church of Seiffen is often depicted next to the traditional "Christmas Carolers". To see original photos prompt the search engine to search for "erzgebirge seiffen" images. 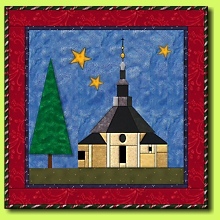 Combine this pattern with the Christmas Carolers in 8 x 16 cm to get a festive scene. Variation: arrange all blocks in a row to create a large area for the sky. 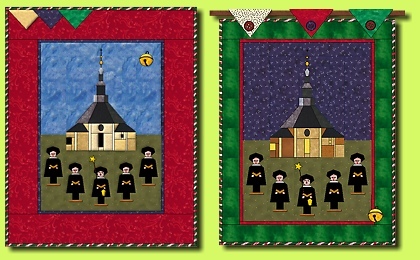 Church and Carolers as advent calenar - by day or by night.